$50 per person inc. tasting. 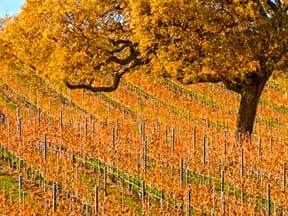 3 hour vineyard walking tours. 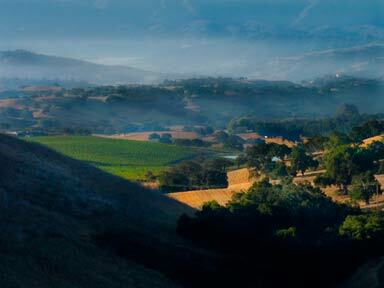 Spend a morning or afternoon in the idyllic tranquility of the Santa Ynez Valley in Santa Barbara. Our 3 hour walking tours are for the enthusiast who wants to learn more about wine and vineyards. We will taste wines from different producers who source from the same vineyard. We will compare the styles of different grapes varietals and different methods of winemaking. 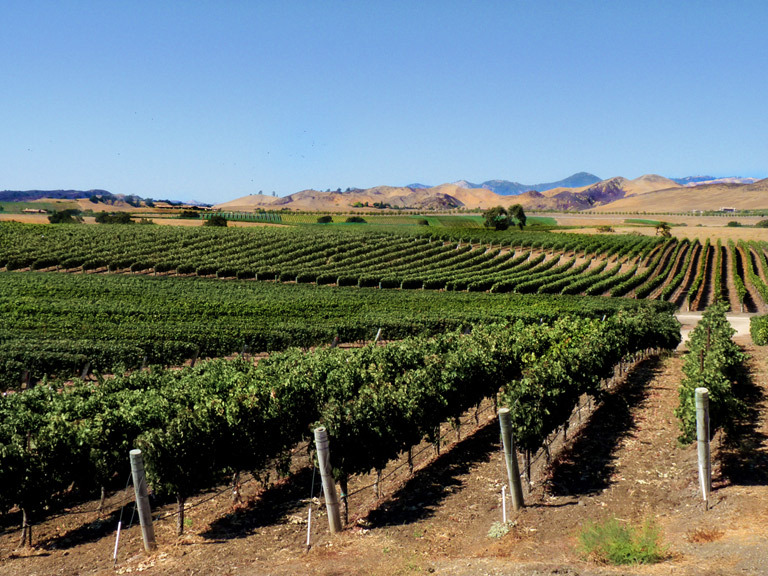 Discover the wealth of wines from Santa Barbara County, in the heart of the Santa Ynez Valley. Our vineyard walking tours will cover a wide range of subjects, from clones and rootstocks, to soil and weather through to differences between traditional farming, organic and biodynamic. We will explore the vineyards and discuss the meanings of "terroir", "appellation", "veraison" and many other aspects of wine growing. 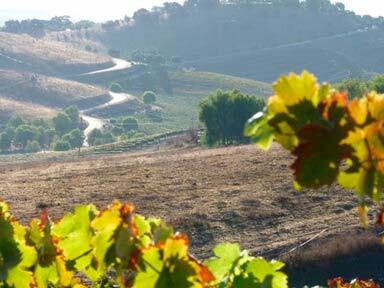 Learn about syrah, grenache, viognier, sangiovese, roussanne, grenache blanc and many other varietals grown in the Santa Barbara County Appellation. Bring your questions, comfortable walking shoes or hiking boots, hat, sunblock and camera. 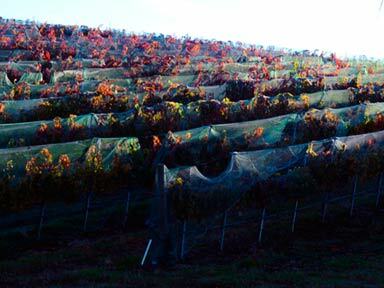 We offer a fascinating insight into how vines are managed. Our 3 hour vineyard walking tours will take you to the source and help you understand just how much is involved in growing premium quality fruit. 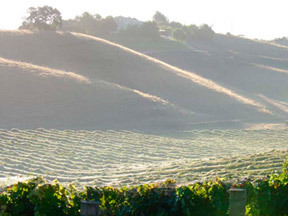 Taste the best that Santa Barbara wine country has to offer. Learn how wine grapes are grown to bring out their best. There are much more to vineyards than vines too, stunning scenery, wild-life, bird watching, photography, as well as days when there is activity, be it pruning or harvesting. After the walk, relax with your lunch under the shade of an oak tree and enjoy the scenery. From bud-break to flowering, then veraison through to harvest, vineyards year-round are an endless source of visual beauty. Add to that the skill of the winemaker to produce outstanding wines from the fruits of the vines and you are following in the footsteps of thousands of years of tradition. Groups are limited. up to no more than 10 people per tour. Take a walk through private vineyards with an expert guide who will help you to learn the differences in clones, rootstocks or how to identify the varietals such as syrah, grenache, etc. Compare the same wine produced by different winemakers, or different wines from the same vineyard to discover the meaning of "terroir". Our leisurely hikes are designed for low impact walking on trails within the vineyards, where there are no crowds or traffic, just the open air and the wide variety of wildlife.